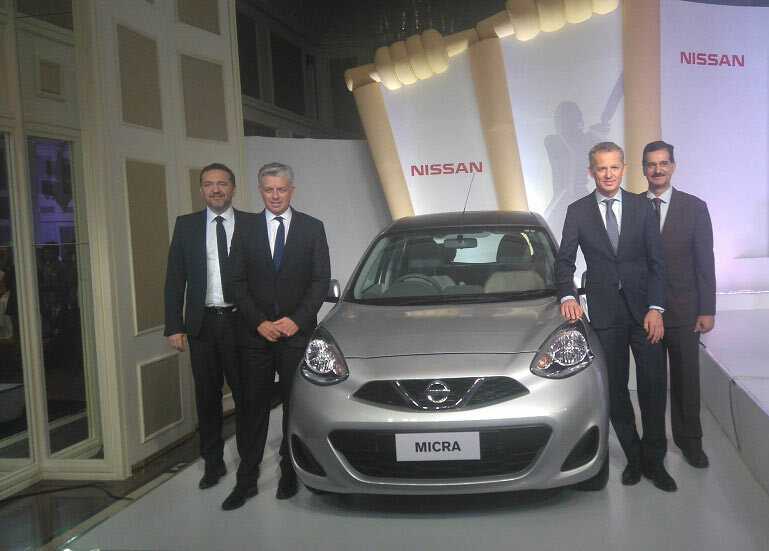 Japanese automaker, Nissan in a press conference announced a partnership with International Cricket Council(ICC) for a period of 8 years. 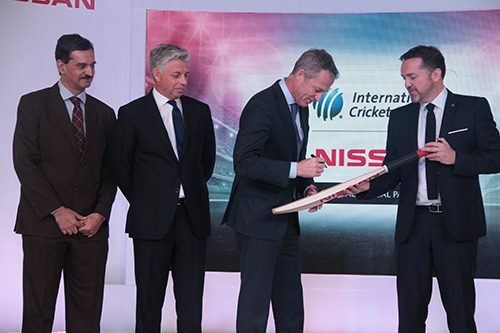 Nissan, which was recently named as the fastest rising automotive brand has now agreed to a major eight-year deal with ICC – strengthening its ties with global sport. The agreement which will be active till 2023, confirms Nissan as a global sponsor of cricket’s international tournaments that includes ICC Cricket World Cup, ICC Champions Trophy and ICC World Twenty20, as well as Under 19 and Women’s Cricket and qualifying events. From Nissan’s perspective, this is major expansion of its International sports sponsorship strategy. The deal allows the Japanese carmaker to bring its innovative and fan-focused approach to sport to reach millions of cricket lovers across the world. Innovation that excites is what Nissan does. said Roel de Vries, corporate vice president, and global head of marketing and brand strategy for Nissan. As partners with the ICC we will introduce ways to enrich the experience of cricket fans through our rights with the global Trophy Tour, the International Flag Bearer Program and new live event experiences. We’re excited to be part of the global cricketing family and to be involved in some of the world’s most prestigious and popular tournaments. Our aim is to share with cricket fans around the world the excitement of the game and our cars. Both are created by people who have passion for what they do. The ICC is delighted to welcome Nissan on board as a Global Partner and we look forward to working together for the next eight years to deliver a strong partnership at all ICC global events. Nissan is one of the world’s leading motor companies and boasts a strong international presence in both new and established markets. Nissan’s values are closely aligned to those of the ICC, to be innovative, with a strong focus on delivering exciting and unique experiences for our fans and stakeholders. We are delighted to welcome such a strong brand to our growing commercial portfolio and we would like to thank Nissan for their support. In India, cricket goes way beyond simply being a sport. It is practically a way of life for millions of people. I believe we have found a perfect partner for our brand. Our goal is to achieve 5% market share in India by 2020 and we have already invested substantially to build one of our most advanced plants and established one of our three global R&D centres. Now we are keen to repeat in India the sales success we already have in Europe, China, the US, Japan and elsewhere. We are thrilled to bring our passion and unique approach to cricket in India and around the world and are very much looking forward to the ICC World Twenty20 in India in 2016. The partnership with ICC proves Nissan’s dedication to global sport, which includes the UEFA Champions League, the Rio 2016 Olympic and Paralympic Games, the Olympic Teams of Great Britain, Mexico and Brazil, the National Collegiate Athletics Association, the Heisman Trophy, City Football Group and GT-R ambassador Usain Bolt.